Singer and songwriter Ray William Roldan is a well-respected name amongst fans of country and blues/rock music. 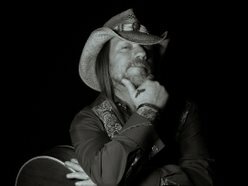 Born in New Jersey and reared on the West Coast, this veteran musician labels his style as Americana Roots Rock and has effectively created a sound that has even surpassed that of the genres he is often associated with. Roldan’s recent single, Foreplay, is an excellent example of his musical capabilities. Ray William Roldan demonstrates his musical genius with the song Foreplay. Foreplay is Roldan’s masterpiece. The song’s organic flavor does an excellent job in bringing the listener face to face with his acoustic guitar and vocal. Lyrically, Foreplay explores a man’s enchantment with everything his special lady is doing. The backing music track consists of a single acoustic guitar recorded with a raw garage-type feel, which works perfectly with the song’s theme. The great thing is that Roldan’s Foreplay is so much more than a teaser.